All right, let’s talk food, because honestly what is more important? Ok ok all jokes aside, I know there are things more important than food, but we all have to eat, so we might as well enjoy it right? I moved to NYC a little over a year ago and it has been a wild ride of trying to enjoy every minute and not blow all of my money on how delicious this city is. 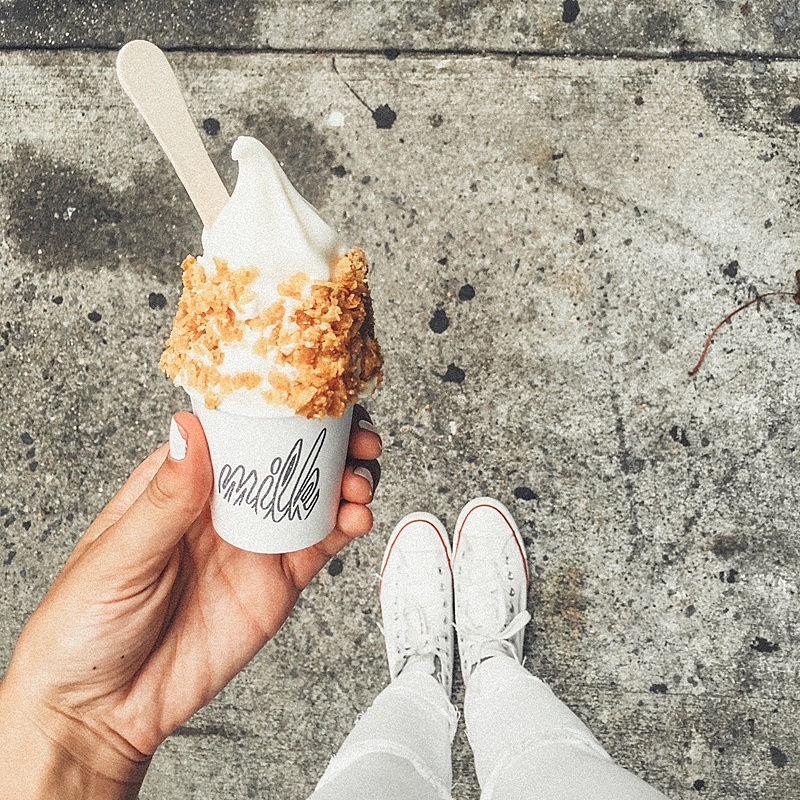 While it is full of amazing rich Italian restaurants and the world's best ice cream, I am going to try and narrow my list of 10,000 down to 5 of my favorite spots to hit in NY. Some of these do of course include ice cream (because if you don’t count that as a meal we probably wouldn't be very good friends) and the second trend you will see is breakfast, I LOVE BREAKFAST and NY knows how to do it. 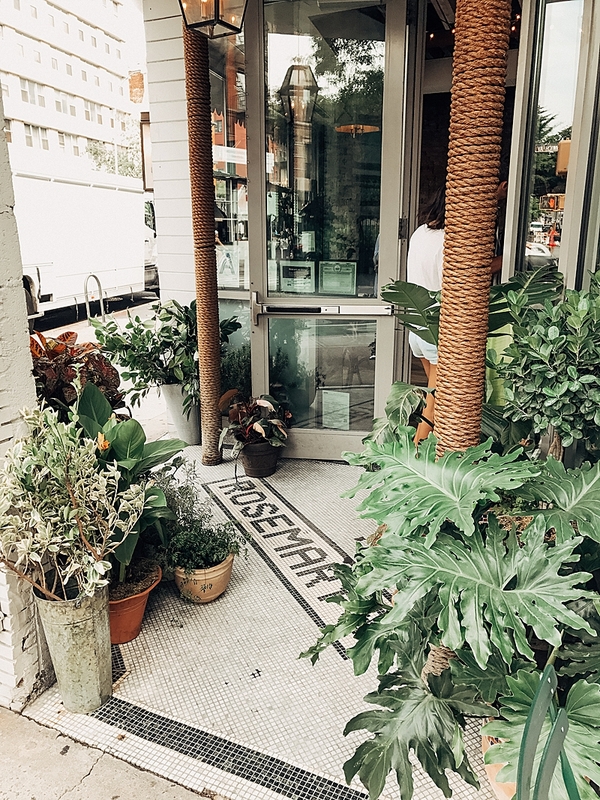 This place is about as charming as it gets, planted right in the heart of the West Village, half inside half outside seating, house plants everywhere and strung lights. I think I would go to Rosemary’s to just sit and soak up the cuteness even if they stopped serving food. I have been here for every meal: breakfast, lunch and dinner, and I have never been disappointed. 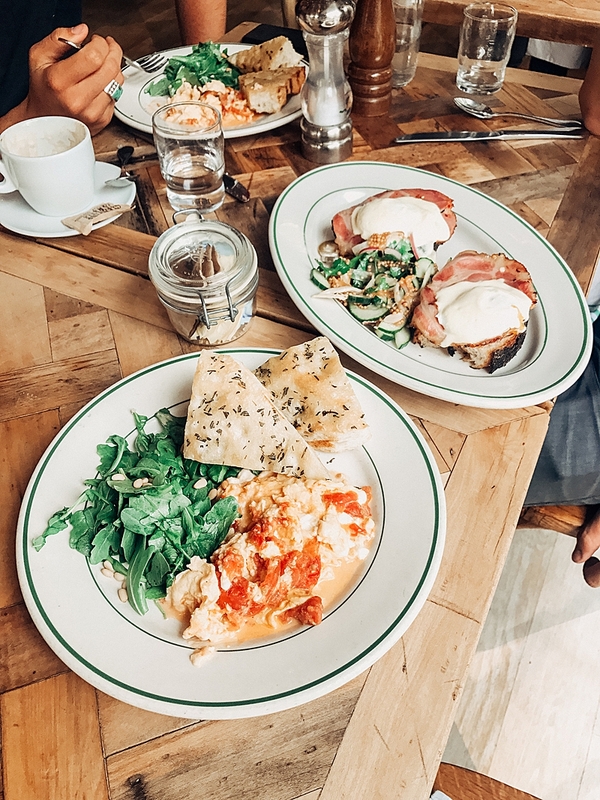 My favorite dish is for breakfast, the Napolitano, which is scrambled eggs with buratta, tomato, arugula and pine nuts. . . WHAT? I never get sick of it. (life hack) To start order a blueberry muffin to share with whomever you are brunching with and request it to be hot and to come with their housemade whipped ricotta, you won’t regret it. Next up, we have every Girls dream. 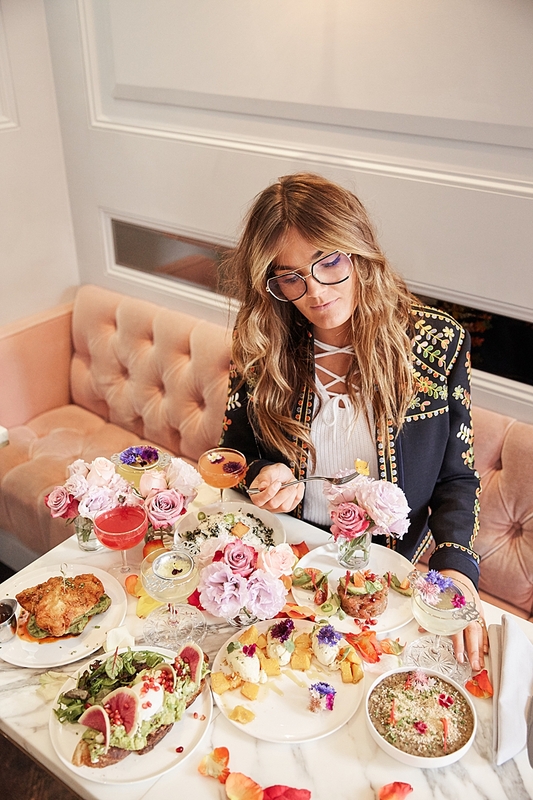 A newer restaurant that sits in the West Village as well with pink seating, a neon sign, rose petals scattered everywhere and food that almost feels too pretty to eat… almost. Everything they make is made to look beautiful and also leans on the more organic and healthy side. Everything I tried was off the charts delicious and it’s the perfect spot to hit up with a bunch of friends, not to mention get a fun picture. Moving on to Ice cream. This could be an entirely separate post dedicated to my one and only love, the cream of ice. But I will calm down and get to one of my favorites. Milk Bar. If you have heard of Momofuku then you are cool and know what’s happening in the food scene, if not look it up. There are multiple restaurants done by this guy and he knows what he is doing. 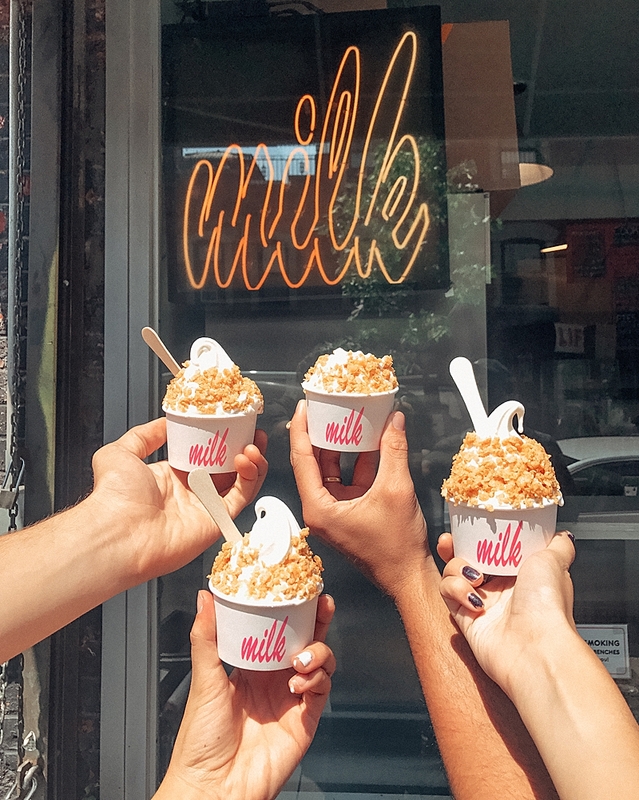 Milk Bar makes ice cream that tastes like cereal milk chock full of crunchies, which seem to be like frosted flakes, but call me crazy, with a little salt added. It’s the perfect serving and hits the spot every time. Yes it’s a little unique but that’s what I live for. Pizza pizza pizza, this is what NY is known for so how could I possibly pick just one? Well truthfully I can’t. I feel a little guilty writing this because I am such a fan of so many. But Motorino is one of those places that is consistently just delicious. They make a simple pizza feel gourmet. The way the crust finds itself in the perfect place between chewy and crunchy with a slight sprinkle of oregano on the entire pie, it’s undeniably delicious. It’s a small little spot on the lower east side, affordable and easy. Australian cafe’s are my jam, and I don’t know how they have all of a sudden become a thing, but I am not mad about it. There are about 4 in the city that I love with all of my heart. But I think coming in at number one is Two Hands. They have created a space that lets you escape from the city putting you on the coast of Australia. It’s beyond nutritious and healthy and always seems to hit the spot. 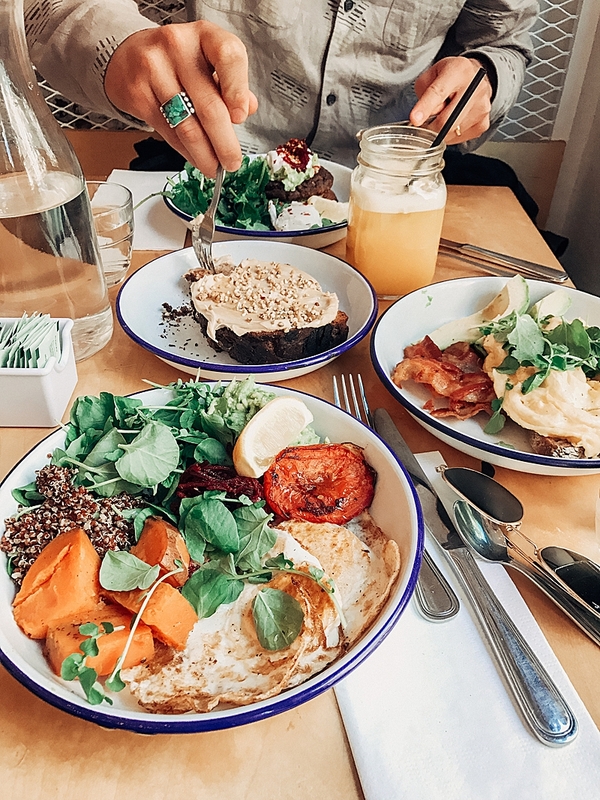 From avocado toast to bowls full of the most colorfully beautiful food you have ever seen, it inspires you to live a better life and enjoy the moment. 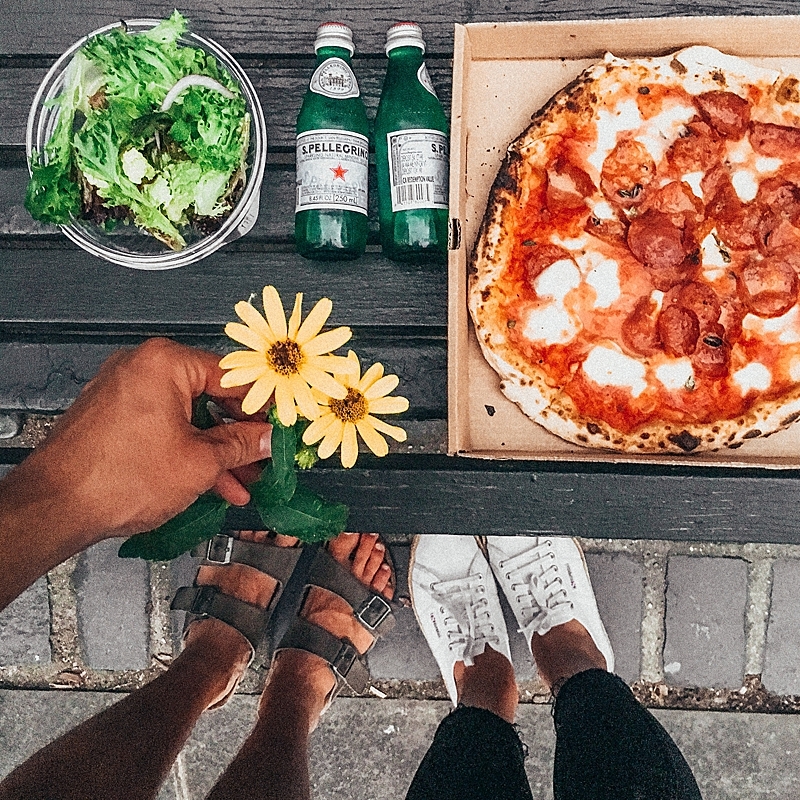 Where is your favorite spot to eat in NYC? I'm always in the mood to try something new! Of course! Let me know which ones you make it to!